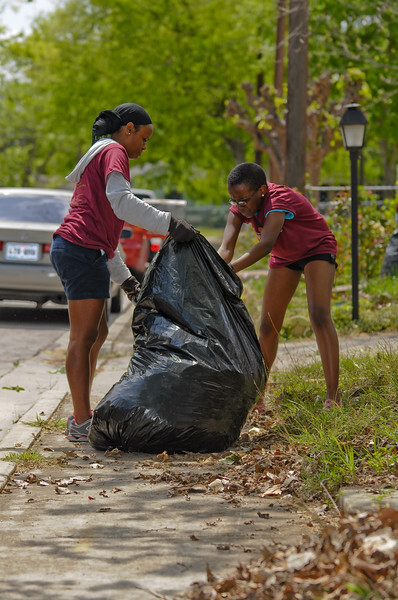 On Saturday April 4th, 2009, thousands of students from Texas State University at San Marcos took up shovels, rakes, trash bags and cleaning supplies and helped out their community at dozens and dozens of work sites. If you like what you see, please leave a comment in the guestbook or in the comments section at the bottom of this page ;-). Coments can be left separately for each image. You can also "vote" for your favorite photo by moving your mouse over the photo for the photorank icon (thumbs up/down) to appear and then clicking on the green thumbs up icon for the photo for which you want to vote.